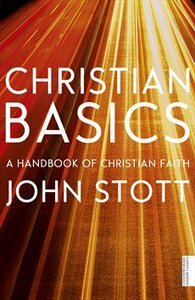 The late Rev Dr. John Stott is known worldwide as a Bible teacher, writer, pastor and mission-leader. During a ministry that extended to seven decades, he authored many books including the best-selling Basic Christianity, Why I Am a Christian and The Cross of Christ ; he was also the editor, (and author of several volumes) of the Bible Speaks Today. In more recent years he was Rector Emeritus of All Souls Church, Langham Place, London; President of the London Institute for Contemporary Christianity; and Founder-President of the Langham Partnership International. He was awarded the CBE in the Queens 2006 New Year Honours. Stott was honored by Time magazine in 2005 as one of the "100 Most Influential People in the World."